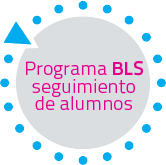 Si eres alumnos de BLS, puedes pedir prestado, gratis, mucho material: libros de lectura, dvd y material de exámenes Cambridge. http://learnenglishkids.britishcouncil.org/en/ Excellent site; everything from vocab to grammar, songs, worksheets, and more. http://www.eslcafe.com/students/ Resources for grammar, idioms, phrasal verbs etc. http://projectbritain.com/ Facts and information about life in Britain. http://tuingles.libsyn.com/ Tu inglés! Free podcasts to help you learn English.